"Winning is an addiction, JTRO!" Get ready for a sequel to that cult indie sci-fi film that you didn't see! 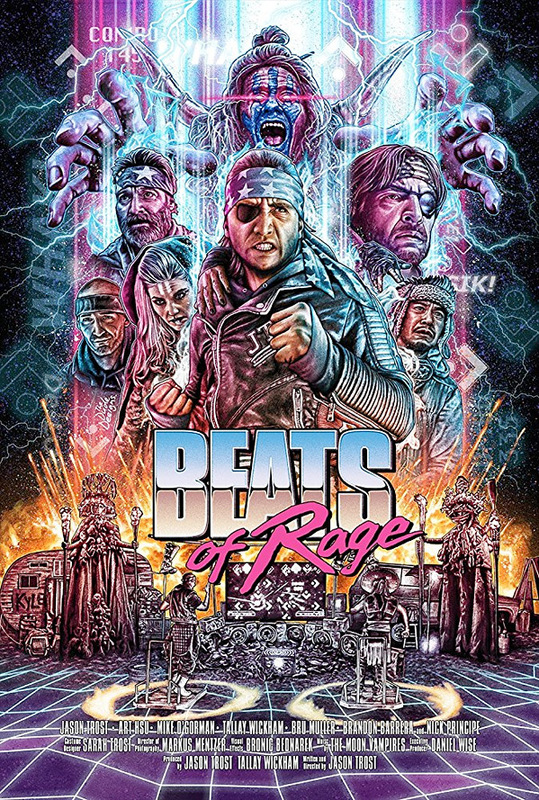 The first teaser trailer has arrived for Beats of Rage, a sequel to The FP, a cult sci-fi film about a futuristic world where winning the Dance-Dance-Revolution arcade game is the greatest glory. Jason Trost writes, directs, produces, and stars in this sequel as JTRO, who hung up his boots at the end of The FP. He's back, however, just like all great 80's post-apocalyptic sequels and must venture into "The Wastes" to train again to defeat a bro known as AK-47. Jason is solo directing this, separating from his brother Brandon, as the two made the original film together as the Trost Brothers (Brandon is now working as a DP on other films). The cast of Beats of Rage includes Art Hsu, Mike O'Gorman, Nick Principe, Tallay Wickham, Brandon Barrera, Michael Davis, and Bru Muller. I dig how mock retro and super crazy this film looks already. Despite hanging up his boots following the events of The FP, JTRO (Jason Trost) must return to the blood sport of Beat-Beat Revelation one last time. JTRO and KCDC (Art Hsu) - his mystical hype man - will quest deep into The Wastes, a land decimated by the Beat Wars, to compete in the ancient Beat-Beat tournament, "Beats of Rage", face AK-47 (Mike O'Gorman) - and, hopefully, save the world. Beats of Rage is both written and directed by American actor-filmmaker Jason Trost, who co-directed the original film The FP with his brother Brandon in 2011. He has also directed the films All Superheroes Must Die 1 & 2, Wet and Reckless, and How to Save Us in the meantime. No release is set yet, but the film is expected to premiere at Fantastic Fest this fall. The trailer states Christmas - stay tuned. First impression? Who's in?